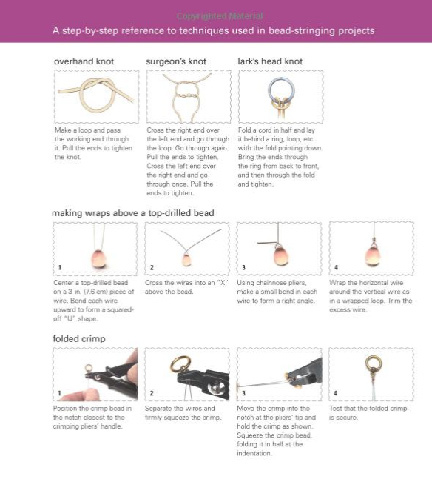 BeadStyle Magazine has come up with a very clever compendium for the year and has published it as Stylish Jewelry Made Simple. If you are a relative newcomer to jewelry making, or if you've decided that you want to move forward and add some new basic skills to your stringing projects, this book is a great start. 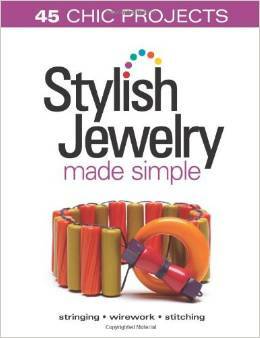 In it you will find wirework, chain, and stitching added to stringing in 45 fun and stylish projects. This is a Kalmbach book, so the basic techniques are always included (in this case, in the back, along with a glossary), and projects that use more tricky techniques are always well illustrated and photographed for you with beautiful clear closeups. And I haven't even told you the best part yet...the projects are arranged by COLOR: reds, greens, blues, pinks, neutrals, metals, and mixed. Not that you can't take a blue project and turn it into a yellow one, but this organization does make for really fun browsing! 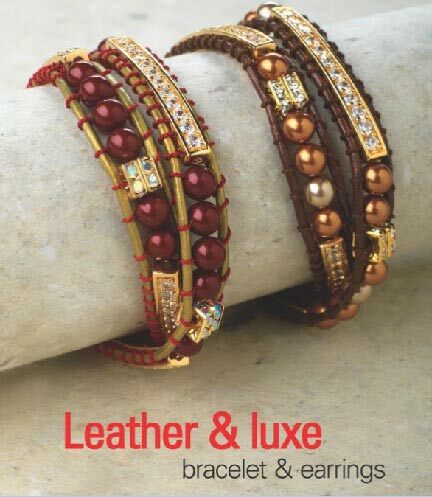 One of my favorite projects is Sarah Arnett's Leather & Luxe bracelet. I want to make one of these in every color imaginable! You'll find them starting on page 16. Such a simple idea, and so pretty. I've seen woven bracelets similar to these before, but I had no idea how easy they were to make. Most recently, there were some in the Sundance catalog that weren't nearly as nice, and at those prices? No way! Now, thanks to Sarah, anyone can make their own version.